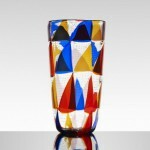 Centuries’ worth of technique meet modern aesthetics to create the incredibly beautiful and complex pieces of 20th-century and contemporary glass art that Venice is famous for. It’s 1926 in Italy, on the legendary island of Murano. Your family name is one of the oldest and most revered in the history of Italian glass-blowing, dating back to the 14th century. Your father and your uncle have delighted the world by updating Roman-era techniques to make breathtakingly gorgeous and complex works of glass, but now it’s your turn to lead. Can you live up to your family’s storied reputation? 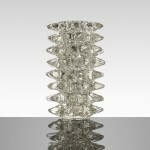 Held on June 13, the single-owner sale became the second-highest grossing auction of Italian glass ever recorded, its total falling just short of $3 million. It’s an especially strong number considering how few pieces from Venini, Barovier’s great 20th-century rival, appeared in the lineup. 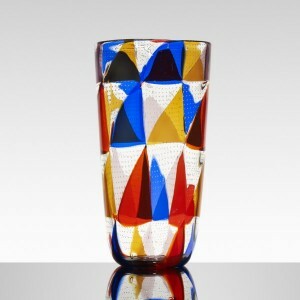 The highest-grossing auction of Italian glass, which topped $4.1 million, took place at Wright in May 2014, and that sale boasted many more Venini pieces, including almost two dozen by the much-sought-after Carlo Scarpa. Top-quality 20th-century Italian glass is tough to find regardless; the owner of this collection, who was well-known in the collecting community but didn’t want his name publicized, pursued the material for more than 20 years before consigning it. Pieces done on Ercole’s watch could be just as taxing, albeit in different ways. The monumental (14.25-inch) clear Rostrati vase from 1938 is an example of how a photograph and a catalogue entry, while perfectly accurate, can fail to capture how powerful a piece is. “In person, it’s wildly dimensional and heavily sculptural,” says Blumberg. “Spikes are coming off of every conceivable part. It’s magnificent. It’s really an extraordinary example. It caught everyone’s attention, and it certainly caught ours.” Also not quite covered in the lot description of “glass with applications” is that said applications involved individually pulling the spikes by hand from a massive blob of molten glass as it hung from the end of the glass-blower’s pipe. Consider that Wright estimates that the vase “probably weighs about 40 pounds,” and your arms should ache in sympathy for the team of Barovier artisans who realized the design. Oldknow likens the task to “holding a bucket of water on the end of a two-by-four.” Estimated at $10,000–15,000, the Rostrati vase commanded $100,000. 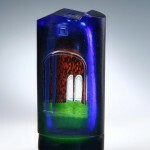 The lots in the auction served as a temporary museum of Ercole’s techniques and of of Italian glass of the past few centuries. 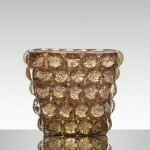 The sale started with a series of 19th-century pieces, including some from Salviati and Co. The firm was founded by Antonio Salviati, a former lawyer who breathed life back into Murano’s glass-blowing industry and employed Ercole’s father, uncle, and grand-uncle Giovanni. “They [the 19th-century pieces] are really the roots of the field we’re discussing—how it began, the reinvention and rebirth of this particular applied art,” says Blumberg. “But those pieces are inconsistent in terms of their reception.” The majority of those that drew bids went for sums within their estimates. “It’s a smaller market and harder to sell,” says Wright, explaining that “the aesthetic is more 19th-century than 20th-century. The forms are much more traditional.” Collectors of today are simply not as enamored of ewers, chalices, and the other old-school shapes that were in vogue before World War I. Some things cannot be known with certainty. For instance, it can be difficult to confirm exactly how many examples of a given piece were produced. 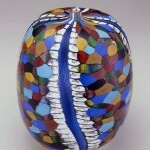 The concept of the limited edition didn’t really exist in Murano before 1970, but these objects were generally created in small groups, and if a group sold out, the company might eventually make more. The scarcest pieces are those for which six or fewer are known; the next level up represents examples for which about 18–20 survive; and the biggest hits, the ones that were reissued again and again, might number in the hundreds. The hand-made nature of even these super-popular designs ensures that they aren’t abundant. 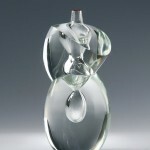 “It’s more along the lines of studio glass,” says Blumberg. Blumberg and Oliveira draw their line at 1970, and many collectors do as well. After that point, the Murano brands start to lose their mojo, and creative dominance shifts to independent glass artists. Some of this devolution is connected to an inability to let go of old strategies that once protected Murano’s industry but no longer do. Jealously guarding glass-making secrets made sense centuries ago; today, it just guarantees that the knowledge remains with its discoverers until they take it with them to their graves. Oldknow relays a telling anecdote: In the 1960s, Dale Chihuly wrote to 40 glassworks on Murano, asking to come over and learn their techniques; the only company that responded was Venini. It was founded in 1921 by a man from Milan, Paolo Venini, and that Milanese legacy—Italian, yes, but not Muranese—was enough to grant the company outsider status on the island. But arguably, Venini’s openness to outsiders and outside perspectives helped raise its profile with collectors and the world at large, cementing it as the prevailing favorite. The quartet of Ohiras appeared at Wright less than a year after Christie’s London set a world record for the artist at auction. A 13 ½-inch tall Nostalgia vase from 2005, executed with Andrea Zilio and Barbini, featuring berry-like spots of red against a field of blue ringed by a flourish of green, sold for £170,500 ($272,460) against an estimate of £20,000–30,000 ($31,900–47,900) in November 2014. While none of the Ohiras in the Wright auction soared quite as high as that, they all beat their high estimates and garnered five-figure sums. The sale’s final lot, a nine-inch-high vase Ohira executed with Serena in 2003 that resembles a flowering field under a night sky, took in $20,320 against an estimate of $7,000–9,000.